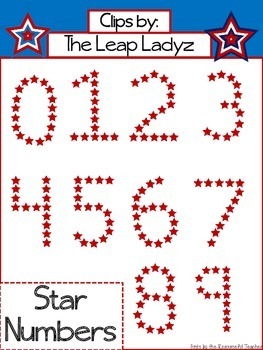 This is a FREE set of RED STAR NUMBERS to use as decorations, create activity sheets, and more!!! 9 clips total including numbers 0 to 9. All clips can be used for personal or commercial use. They are in a zip file, png format, and can be made larger or smaller without altering the clip art's shape or clarity. Thanks for the download and feedback!